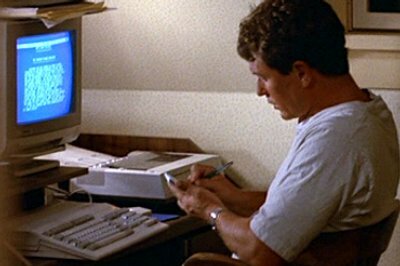 Gary uses the A500 to store details about the terrorist group and to communicate with its members over the internet. Communication between group members, and evidence collected from the computer are important parts of the plot. This represents one of the first largely accurate uses of the internet in film (although there's some dodgy speech synthesis going on). "...(although there's some dodgy speech synthesis going on)." 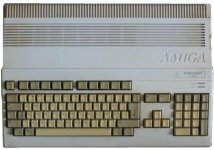 I seem to recall that that the A500 came with dodgy speech synthesis built in.